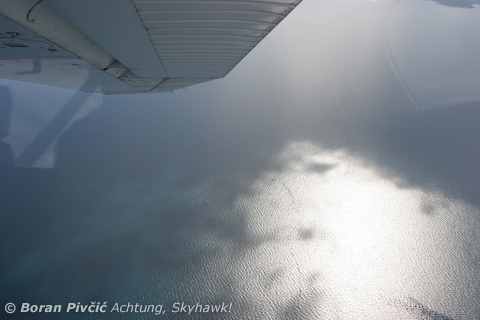 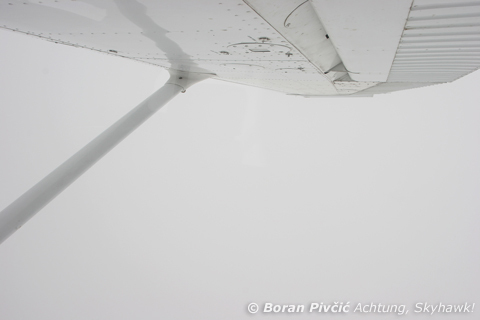 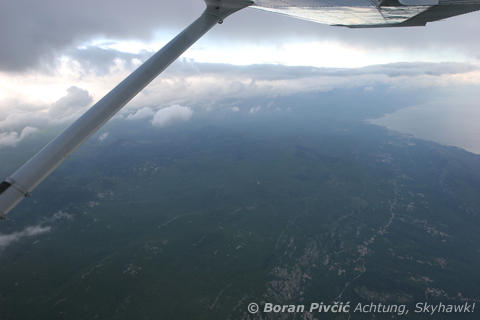 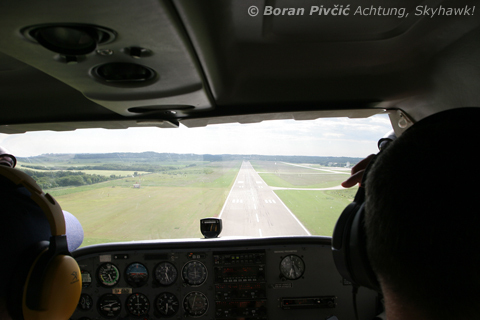 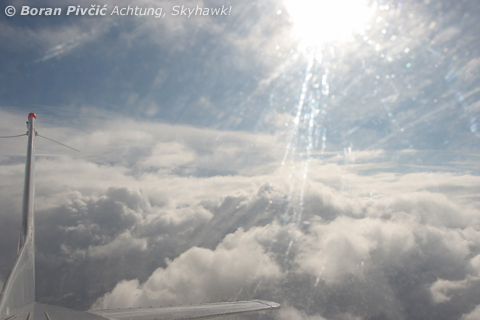 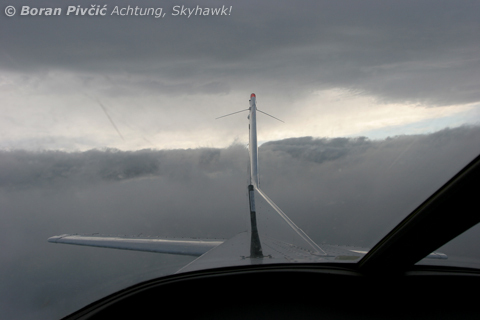 Photo Report – Some IFR Cloud-Hopping | Achtung, Skyhawk! 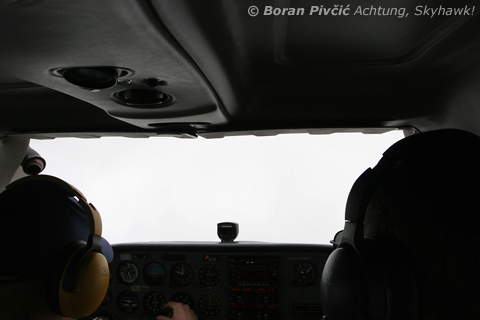 With my Single Engine Instrument Rating proceeding better than planned – a clear violation of Murphy’s Law and an immediate cause for alarm 😀 – I was growing increasingly excited about my upcoming first ever cross-country IFR flight. 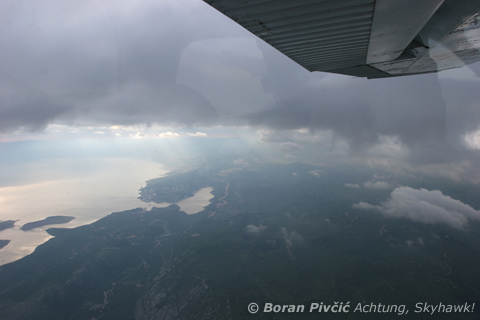 Having been confined to Lučko and its surroundings for several months now, I was itching – desperate even – to go somewhere further away, with bonus points if it involved flight to or near the coast :). 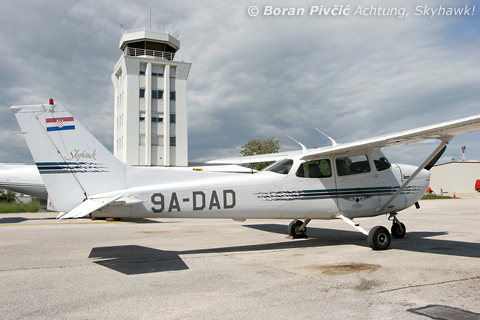 Much to my delight, I was scheduled a few days ago for a three-hour training session, for which my instructor decided to head to Pula airport (LDPL) in Istria for some instrument approach practice. 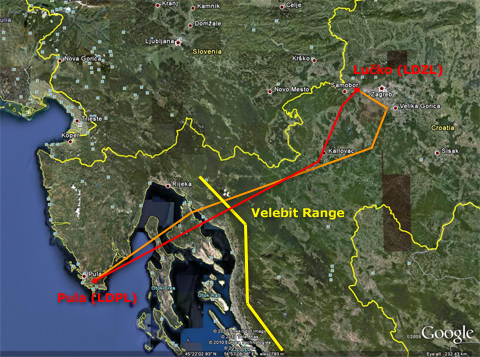 The westernmost large airport in Croatia, LDPL is abundant in radionavigation aids (with no less than 5 NDBs, a VOR/DME and ILS) and is relatively traffic-free during the week, despite Pula itself being a popular tourist destination – a perfect setup for my anticipated cha-cha-cha around its airspace :D.
The plan was for me to fly the Lučko-Pula sector, shoot a couple of approaches, land and then plonk myself in the back seat while another student – who’d be tagging along outbound – flew the stretch back to Lučko, leaving me free to relax and enjoy the scenery. 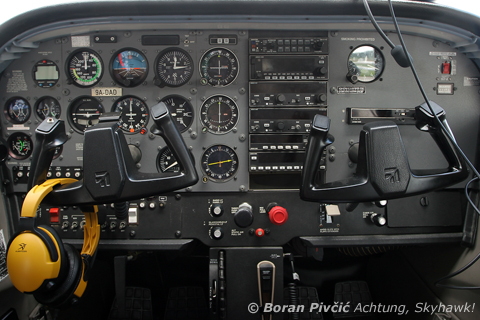 By an additional last minute stroke of luck, a schedule change saw us upgraded to the university’s sole Cessna 172R, a Gulfstream V compared to the usual 172Ns I fly :D.
Two and a half hours later, after two ILS, two VOR/DME and an NDB locator approach – not to mention a 140 knot tailwind-assisted dash across half of Croatia – I’d swapped the yoke for the camera, and sat back ready to make up every bit of photography I had missed on the way out :D.